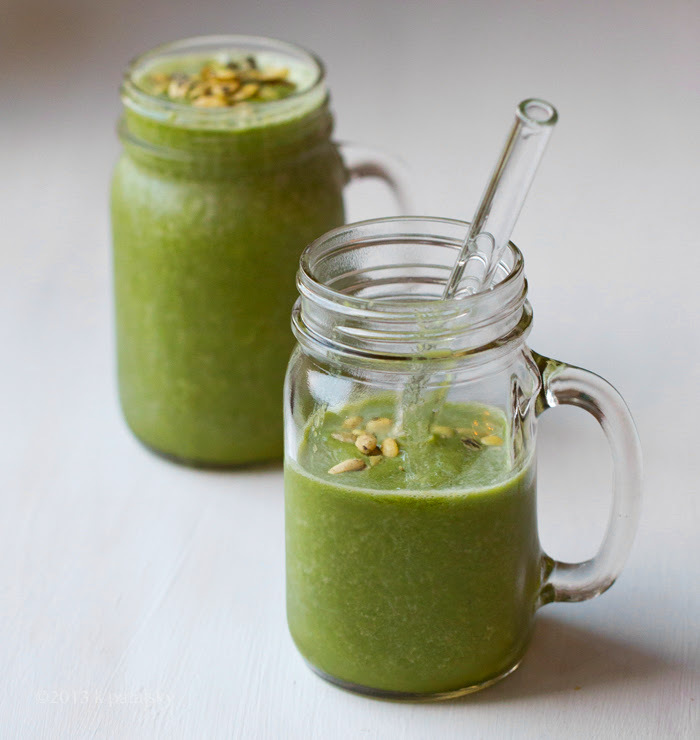 Frosty Pumpkin Seed Sweet Green Smoothie. Hydrate. Fuel-up. Chill. 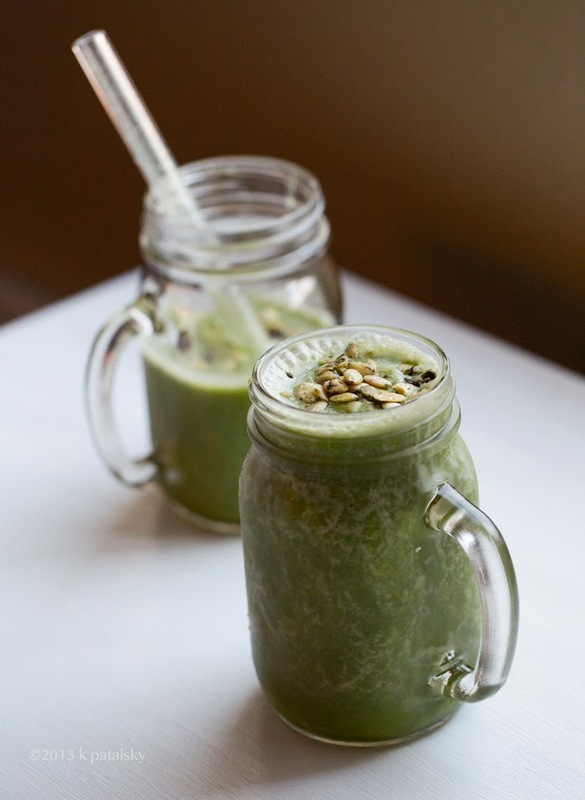 This is a simple green smoothie recipe that is kind of perfect for the crazy busy Thanksgiving week ahead of us. 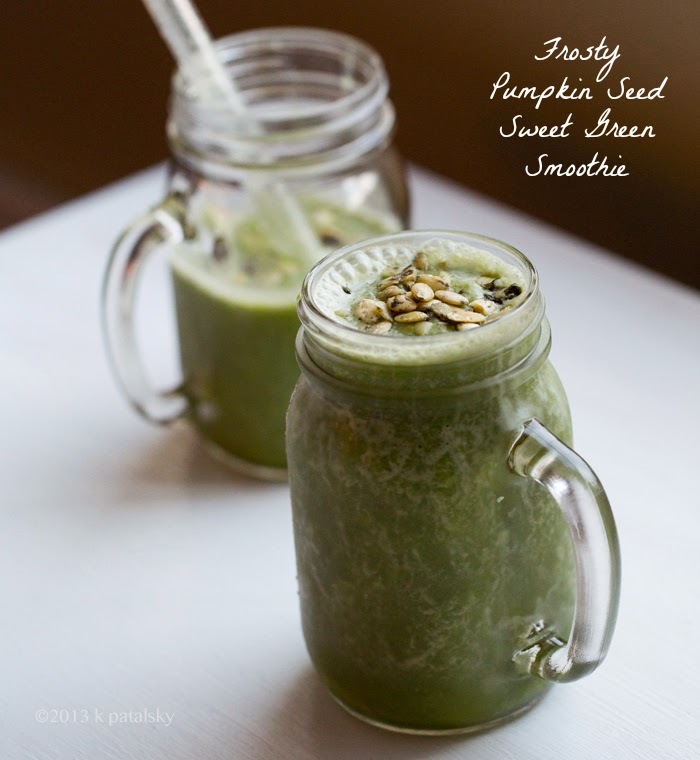 This Pumpkinseed Sweet Green Smoothie has ingredients that will hydrate, fuel and calm you. And it tastes delicious, frosty, frothy and cravable. 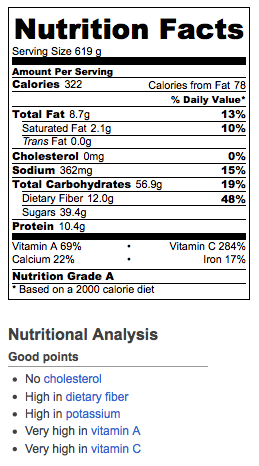 And I use a secret smoothie ingredient found in my 365 Vegan Smoothies book!.. 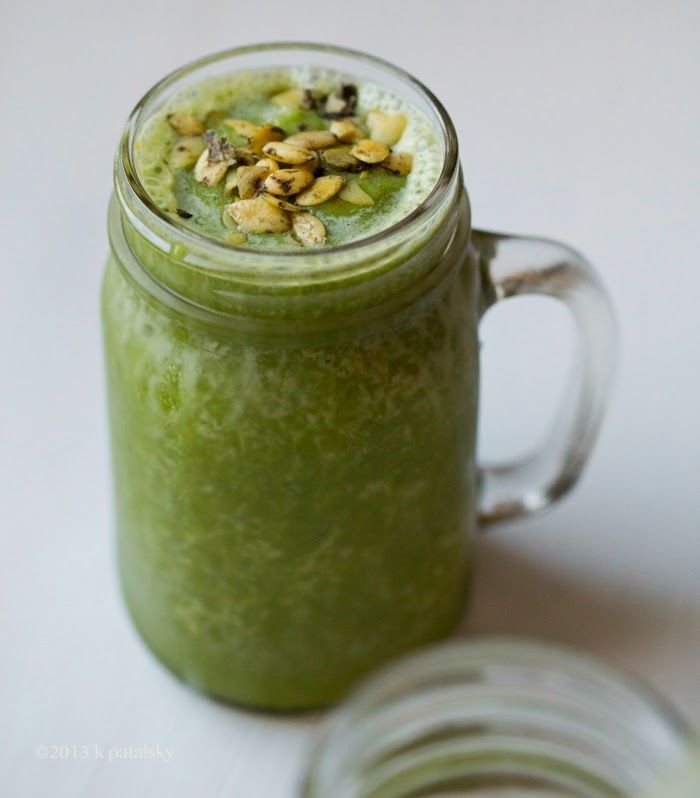 Green Smoothie. The secret ingredient in this frosty smoothie is oranges. But not any oranges, frozen oranges! Frozen oranges are amazing in smoothies. I buy a giant bag, peel them, section into quarters, remove seeds when possible, and freeze them. They blend into frosty, sweet vitamin C-infused sweetness. Mac and cheese. A big bowl of Friday afternoon coconut oil popcorn. Pumpkin biscuits (kinda like sweet potato biscuits only using pumpkin) - perfect paired with chili! And plenty of pots of soothing soup. A big fancy feast just probably isn't happening this year. Simple. Easy. With my faves..
Stuffing. Sweet Potato Pockets. Sweet potatoes. Cranberry sauce and roasted veggies. Something green and salad-y too. And of course pumpkin pie. Boom. Done. Simple vegan Thanksgiving. topping: more pumpkin seeds please! 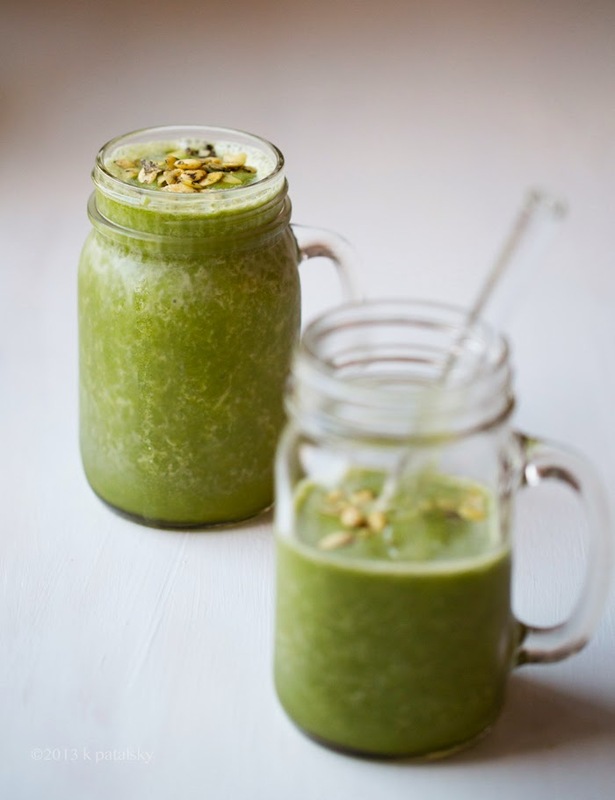 To blend: To fully puree the the greens and orange you need to use a high speed blender and blend from low to very high speed. The high speed for a few seconds will really break up any bits of pumpkin seeds or leafy greens. 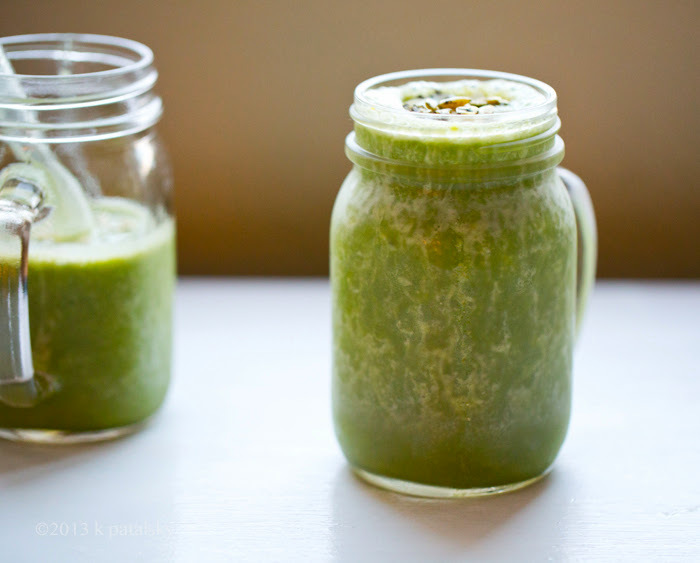 High speed is a must for smooth green smoothies.